Just about everyone has seen those disposable cameras that are designed to be used underwater. 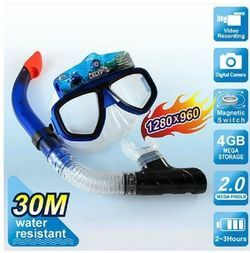 They're great for vacations or even just goofing around in the pool. They say a picture is worth a thousand words, but how much is a video worth? Its time to find out with the new i-Dive DVR.